Welcome, Angel! So, my association with Garnier Micellar Water is nothing new. When this product was launched for the first time in India, I bought it very enthusiastically. And honestly, it was such a delightful experience. Even, I loved the ingredients as well. But somehow I missed the opportunity to buy Garnier Micellar Oil Infused Cleansing Water. Surprisingly, this purchase was an absolutely compulsive decision. 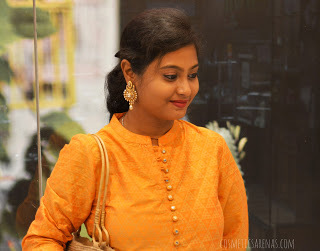 Recently when I went to Sephora to purchase a few things, I for the first time opted for the makeup session. It was a beautiful experience all over. While returning I realized that my makeup remover has been finished and I need something heavy duty to clean all these layers of foundation. And I almost immediately bought it. It has been almost a month since this purchase and I am absolutely ready to opiate my genuine unbiased review. 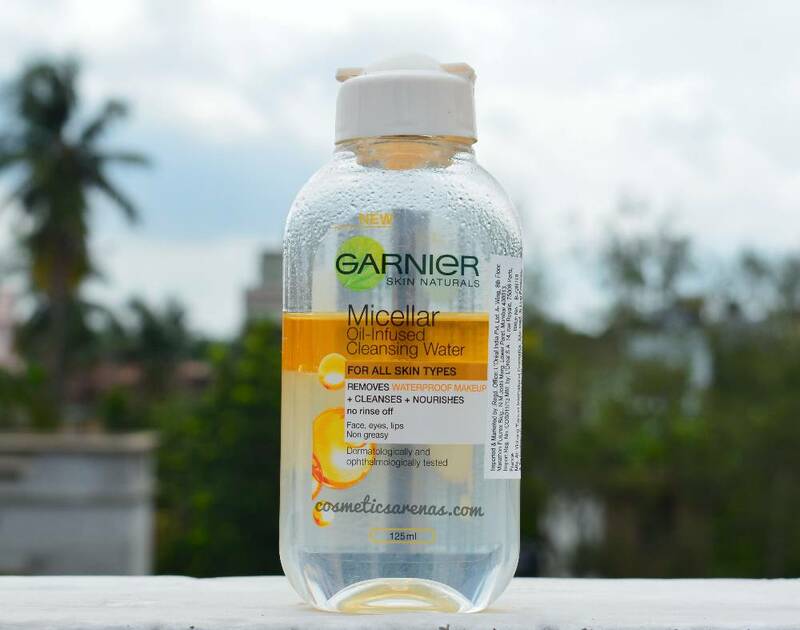 So, let’s begin the review of Garnier Micellar Oil Infused Cleansing Water. 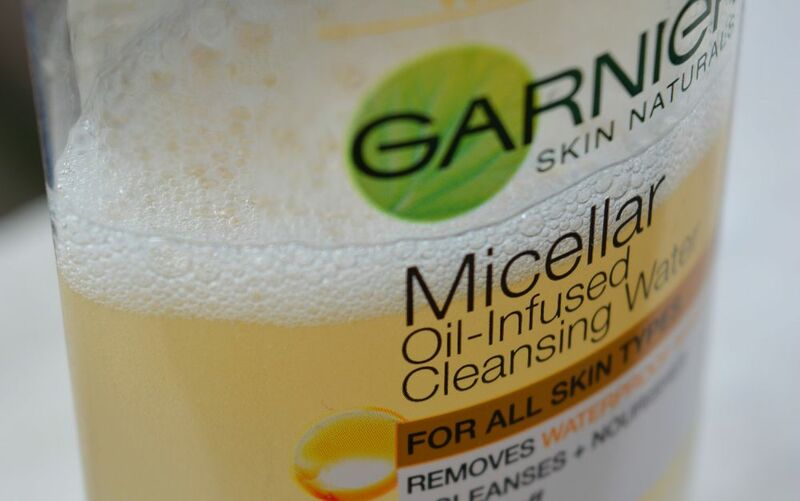 What does the Brand Claim about Garnier Micellar Oil Infused Cleansing Water? This is the first ever Oil-Infused Micellar Cleansing Water. Its power-packed formula helps in removing the stubborn water-proof makeup. It is very light and gentle on the skin. For the first time ever. Garnier along with its Micellar Technology has come up with a product having the nourishment of Argan Oil in it. 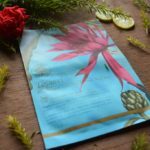 It lifts away all the residues like a magnet, while the oil dissolves even the slightest traces of makeup and nourishes the skin at the same time. You need to shake the product so that the oil and Micellar Water mix with each other. Then take the product on a cotton pad and apply on face, eyes, lips, and wherever you feel the necessity. No further rinsing is required. 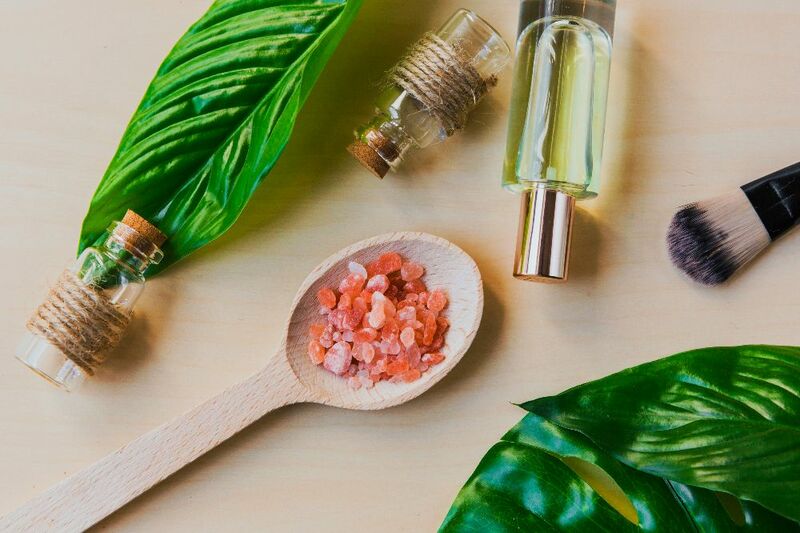 Ingredients play a significant role in pivoting the destiny of any cosmetic – this is what I have always believed. I was glad to find that Garnier has mentioned all the components clearly on the label. 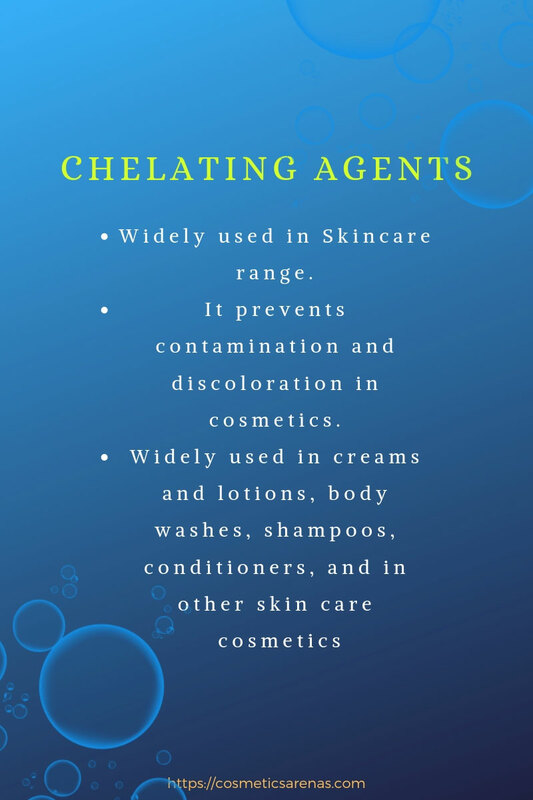 Micellar Water Technology is somewhat complex. And, because it is associated with an Oil-Infused technology, so you might not be very familiar with most of the ingredients. But worry not! 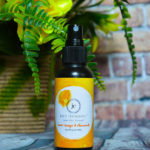 I have analyzed every ingredient with minute detailing. Well! In case you are running out of time, you can download the PDF file and can read the ingredients in your spare time. 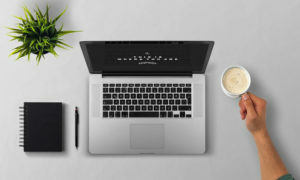 Otherwise, grab a coffee and indulge in reading the ingredients of Garnier Micellar Oil Infused Cleansing Water because this list is going to be long. Aqua / Water: It is the base of any liquid product. Cyclopentasiloxane: A moderately safe component which works as hair and skin conditioning agent. 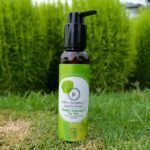 Isohexadecane: A safe skin conditioning agent. 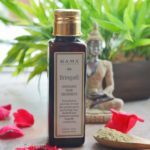 Argania Spinosa Oil/Argania Spinosa Kernel Oil: Liquid gold which has an abundant amount of Vitamin E. It is one of the best skin conditioning agents ever. Benzyl Alcohol: A moderately hazardous component that can be used as viscosity decreasing agent or masking agent. Benyl Salicylate: Ultraviolet Ray absorber which is highly hazardous. Butyl Methoxydibenzoylmethane: It can protect the skin from wide wavelengths of UV rays. Ci 60725/ Violet 2: Moderately hazardous cosmetic colorant. Decyl Glucoside: Mild and safe surfactant. Dipotassium Phosphate: Safe ingredient that can be used as a buffering agent and pH adjuster. Disodium Edta: Decreases the effect of metal ions in a product; viscosity controller. Ethylhexyl Methoxycinamate: Moderately hazardous UV ray absorber. Ethylhexyl Salicylate: It is also a UV absorber. According to FBI, this ingredient has a toxic background, so the amount should not be more than 5% in a concentration. Geraniol: It is quite a hazardous fragrance ingredient. Haematococcus Pluvialis/ Haematococcus Pluvialis Extract: It is a great antioxidant which is absolutely natural. Hexylene Glycol: A safe fragrance ingredient, which also works as a fragrance agent. Limonene, Linalol: Both are moderately hazardous perfumery component. Pentaeryhrityl Tetra-Di-T-Butyl Hydrohydocinnamate: An absolutely safe antioxidant. Potassium Phosphate: A safe pH-adjuster. Sodium Chloride: A flavoring and viscosity increasing agent. Parfum/ Fragrance: Not sure about the nature of the fragrance, but hopefully they have not used Phthalates. 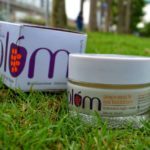 Overall, I find the formulation, a blend of safe and hazardous ingredients. I must say that the technology might be mind-blowing, but somehow the ingredients failed to leave an impression on my mind. Honestly, the ingredients of Garnier Micellar Cleansing Water were far safer than all of these. So, I cannot give the ingredients more than 3.5/5. It comes in exactly the similar packaging of the simple Micellar Water. The plastic is quite sturdy and I have no issue with this kind of bottle. 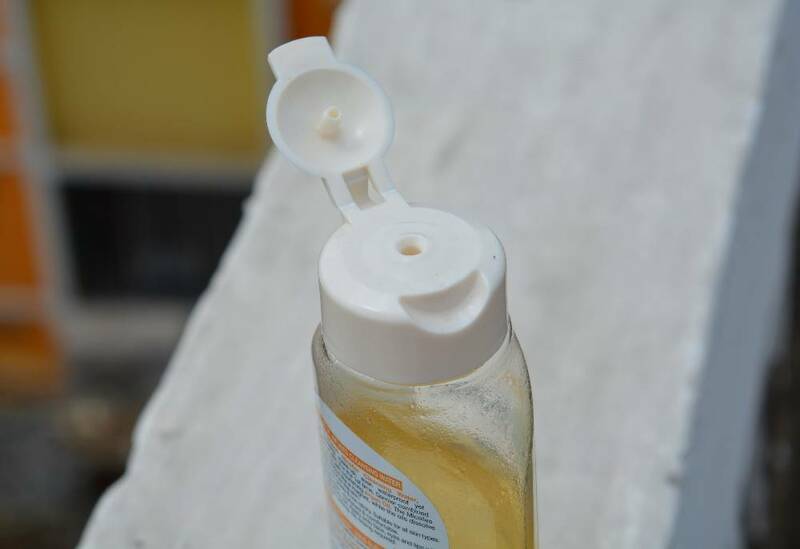 The cap closes perfectly and the right amount of product comes out during each application. The concentration is definitely oily. Because I have dry skin, I found that the texture is perfect for me. That means I don’t need to wash off my face after cleansing is done. 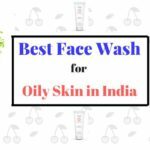 If you are an oily skin beauty, then you might need a cleanser to wash off the excess oil. Unlike its other counterpart, this one has a subtle aroma which is not bothersome at all. The fragrance is definitely not natural but it would not give you a headache as well. So when I bought this product, it was like a child’s play to me. When you shake the product, the oil and water get infused within each other; and it is completely delightful to watch that. It was really a fun for me to stare at how the oil and water get separated again from each other. 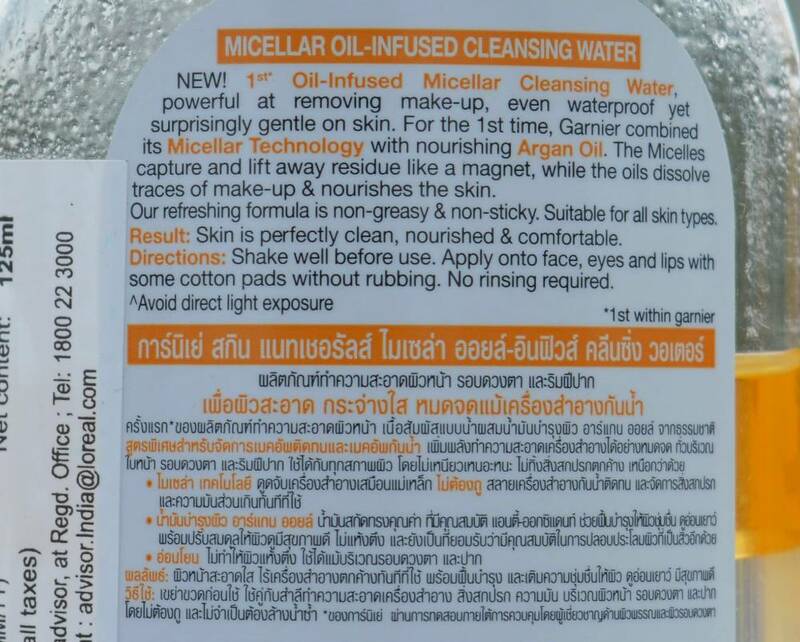 Does Garnier Micellar Oil Infused Cleansing Water remove the Makeup Immediately? 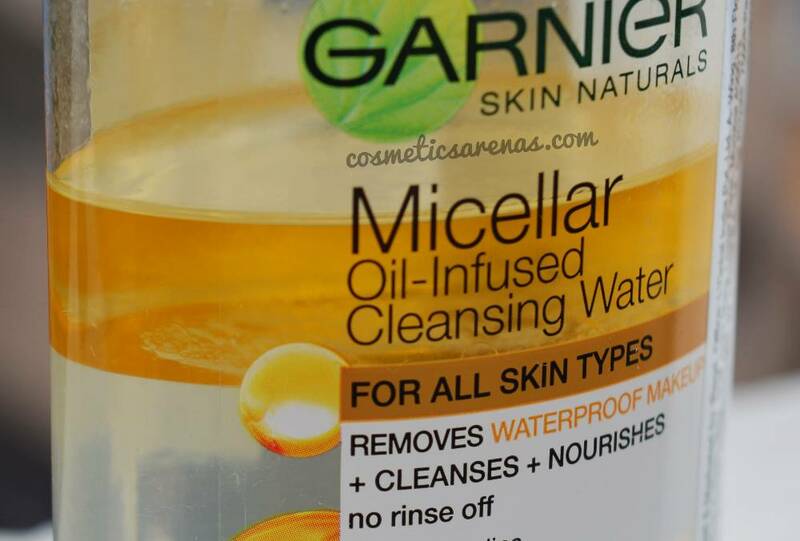 I felt that Garnier Micellar Oil Infused Cleansing Water is an excellent makeup-remover all in one. It is capable to dissolve and take off any kind of makeup at one to two swipes. Two or multiple swipes are required only when you have worn water-proof makeup, otherwise, one swipe is enough. A few may complain that it cannot remove the water-proof make-up at one swipe, but I didn’t find that bothersome. Does Garnier Micellar Oil Infused Cleansing Water cause any irritation? As the brand claims, it is very gentle on the skin. This Micellar Water would not cause any irritation or rashes. At least I did not notice anything like that. Even if you have sensitive skin, it would not pose any threat. Affordable unlike other Micellar waters. Effective in removing even waterproof makeup. Gentle on the skin; does not cause any irritation. The complete ingredient list has been provided on the label. The ingredients are not all safe. Some are quite hazardous. It does not remove the water-proof make-up at one swipe. Garnier Micellar Oil Infused Cleansing Water is an all-in-one solution for all the dirt, grimes, and water-proof oil-infused makeup. It is pocket-friendly, user-friendly, and travel-friendly. If ingredients are not a major concern for you, then it is your product. Now it is time to wrap up today. I hope this review helps you. Thank you for reading. So, did you like this post? Then, don’t forget to SUBSCRIBE to Cosmetics Arena. Because I keep coming back every week with this kind of articles. Love you; Take care. I will meet you soon.